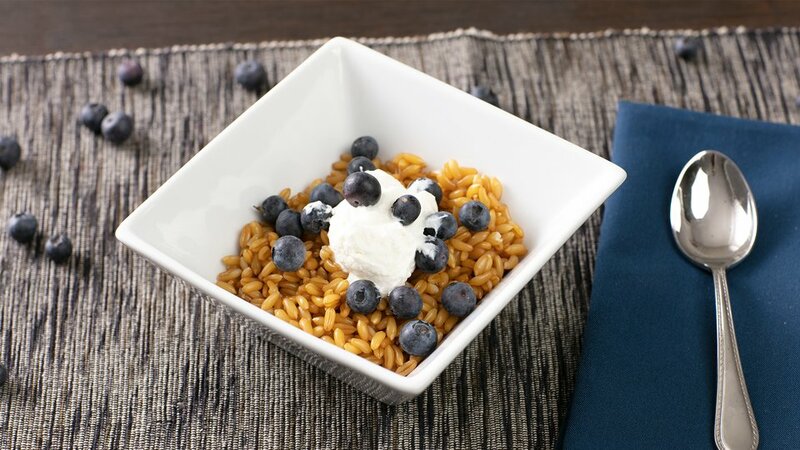 If you're looking for a new take on morning oatmeal, kamut is a high-protein grain known for its rich, nutty flavor that blends well with both sweet or savory dishes. Save time by cooking this ancient cereal grain ahead of time, and spice it up with any of your favorite macro-friendly toppings. Pulse the kamut in a food processor a few times to break up the grains and make them easier to cook. Simmer the kamut in 2 cups of water for about 45 minutes or until tender. Let cool and serve with yogurt, blueberries, and almonds.